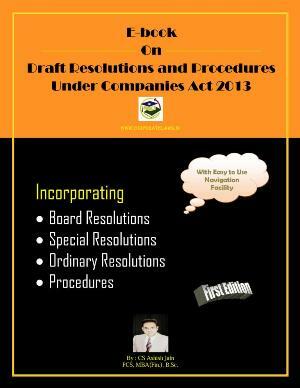 As per the provisions of Section 203(2) of Companies Act, 2013 Every whole-time key managerial personnel of a company shall be appointed by means of a resolution of the Board containing the terms and conditions of the appointment including the remuneration. 1. Issue notice of board meeting to all the directors at least seven days before the date of board meeting. 2. 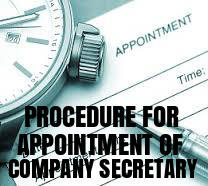 Hold the board meeting to Pass a Board Resolution for Appointment of Company Secretary, which should contain the terms and conditions of the appointment including the remuneration. 3. 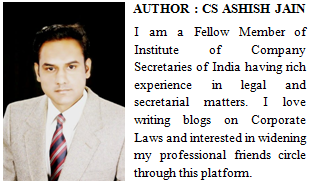 Receive consent letter from Company Secretary to act as Company Secretary. ii. MGT-14 within 30 days from the date of passing of board resolution. iii. MR-1 for appointment of KMP within 60 days of passing of Board Resolution.